It’s sort of the 800-pound elephant, nah, really, the 2,200-pound elephant in the Bulls locker room that has been hanging around in the corner all season. Where are they going to find enough scoring to win in the playoffs? Once again it was from Derrick Rose Monday as the Bulls defeated the Indiana Pacers 96-90, once again overcoming a late fourth quarter deficit and once again behind Rose, who had 14 points in the fourth quarter and 36 for the game. “It’s disappointing,” said Pacers star Danny Granger, who led Indiana with 19 points. “I feel like it’s the sequel to the Derrick Rose show again. We held them to 38 percent shooting. That’s usually a winning stat. We forced 21 turnovers (for 26 points). That’s usually a winning stat. The difference was the offensive rebounding (20-9 and 57-33 overall), which was created because Derrick Rose got into the lane too much. And his free throw attempts. He shot 13. The Pacers did force Rose into six turnovers, a pair early in the fourth quarter as they finally went into an aggressive half court trap over the pick and roll. That enabled the Pacers, hanging in all game despite losing starting point guard Darren Collison with a sprained ankle, to take a 76-74 lead midway through the fourth quarter. I thought the Bulls should have isolated Rose more at that point as the Pacers sent a big man to help the guard and force the ball out of Rose’s hand as the Bulls were in high pick and rolls. But Bulls coach Tom Thibodeau made a nice adjustment going to a one/three pick and roll with Luol Deng with Deng flaring out. 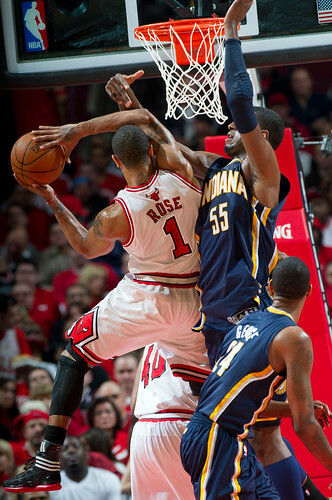 That took Rose’s defender, Paul George, into Deng. 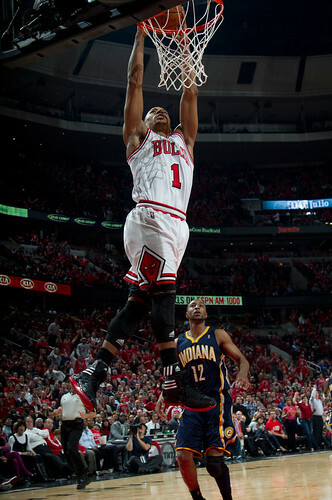 So Granger, a relatively weak defender, was left on Rose. Rose then drove and got a three point play and hit a 17 footer over Granger and was fouled on a spinning drive, making two free throws for an 85-81 lead with 3:30 left. 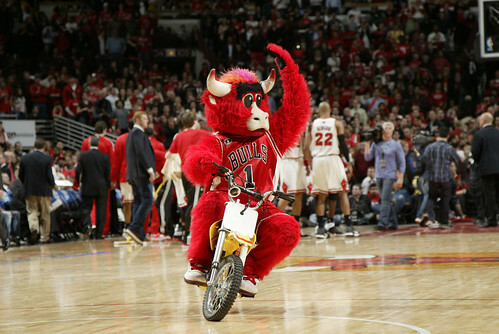 But like those Pinkertons from the Butch Cassidy movie, the Bulls once again couldn’t shake those anonymous guys. The irony, of course, was the Pacers began to feel good about themselves and they were losing. 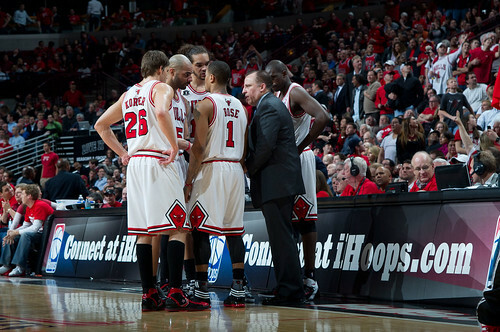 The Bulls kept answering defensive questions, and they are up two games to none with Game 3 in Indianapolis Thursday. It also likely was impressive for the Pacers with the United Center crowd chanting obscenities at the Pacers. Not exactly classy. Really, how can you be mad at this Pacers’ team? For trying to win? There’s been talk of it being a physical series, but it’s playoff basketball. There haven’t been flagrant fouls. Heck, two months ago most of the fans in the United Center might not even known the Pacers were in the league. That’s right. Scared of the Pacers. Now, who is Paul George again? Granger got to the free throw line to cut the Bulls lead to 87-85 with 1:24 left before Rose, who also had eight rebounds and six assists, got one of those hockey assists as he went to Joakim Noah inside against the double. 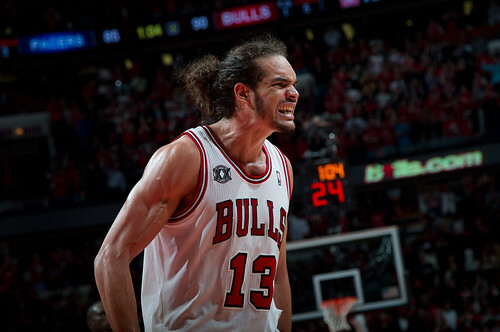 Noah, who had 10 rebounds and two blocks, passed to Kyle Korver in the corner. And Korver hit the effective clincher for the second straight game, his fifth consecutive three pointer in this series for a 90-85 lead with 1:04 left. 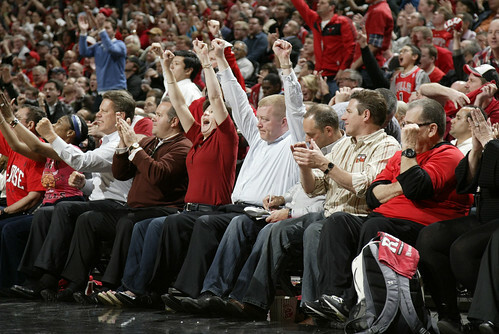 And the Bulls held on making free throws down the stretch, nine of nine in the fourth quarter. “Lucky,” Korver offered to the obligatory how do you feel question, though I thought he’d go for hungry. But, the 37-45 Pacers? Was it supposed to be this way? 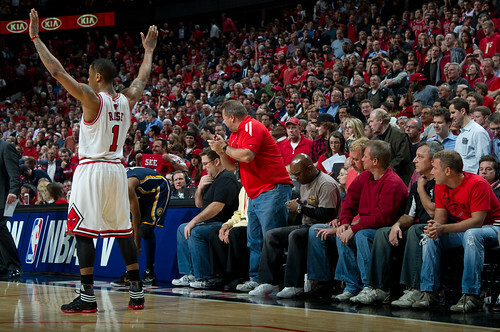 The difference in the series, as Granger noted, is Rose. 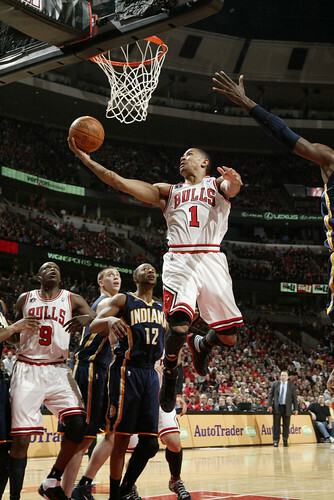 Or more precisely, the Bulls having perhaps the game’s best closer now and the Pacers having no closer. In the games the two teams played this season, the Bulls basically won the fourth quarter, even the game the Pacers won in Indianapolis in March. Other than Granger Monday, only backup A.J. Price was in double figures with 13 points. “We feel like we’ve outplayed them most of the series,” said Price. And, still, the Bulls needed Rose to bail them out down the stretch. 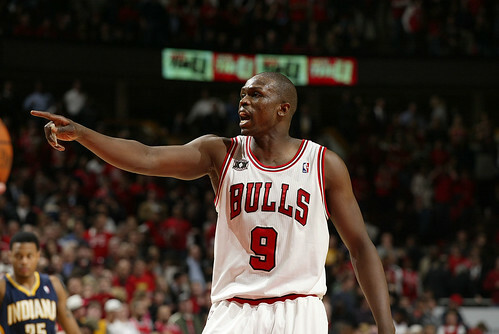 Luol Deng was three of 13 for 14 points. 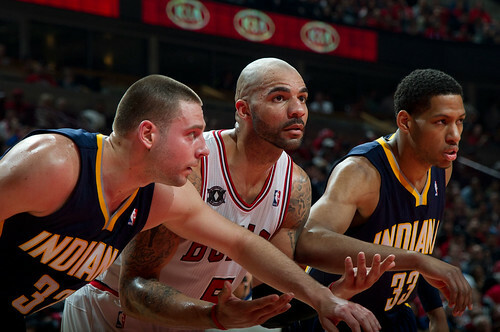 Carlos Boozer was much better with 17 points and 16 rebounds, but just four points in 20 second half minutes. So it had to be Rose, and the question hanging over the Bulls and these playoffs is whether Rose can keep up this pace and whether he has to. 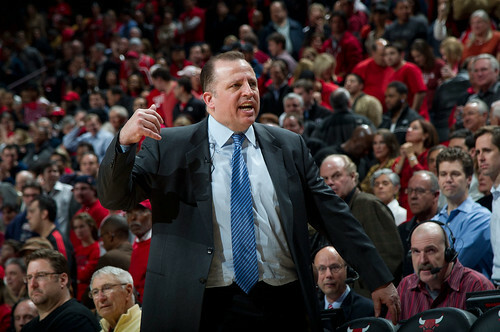 “The game dictates the scoring,” said Thibodeau. “He’s the primary scorer. The ball is in his hands a lot. We need him to score and he’s done it. Now he’s playing more (minutes) than in the regular season, so he’ll get more opportunities to score. I’m comfortable with his decision making. He’s the leader. He’s earned everything he’s gotten. He runs our team great and I think he wants the challenge. Deng was good defensively once again early on Granger as the Bulls game plan has been pretty clear, and well executed defensively. They’re overplaying the Pacers best scorer and making him play into the kind of crowd the Pacers cannot duplicate with Rose. Of course, Granger mostly shoots jump shots. The Bulls did a better job contesting Tyler Hansbrough, who also wasn’t shooting as well and was two of 12 for six points. 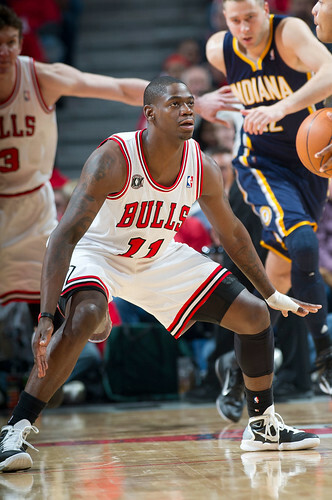 The huge loss for the Pacers was Collison, who was getting into the passing lanes for steals and disrupting the Bulls offense before suffering that sprained ankle. The Pacers were unsure of his status. Paul George also did a nice job with his long arms tipping and knocking away passes, which helped limit the ball movement. Price once again came in and shot surprisingly well, and the Pacers brought T.J. Ford out of solitary confinement and the veteran guard hit a 60 footer at the end of the third quarter to tie the game at 67. You could almost hear the conversations of disbelief in the stands. 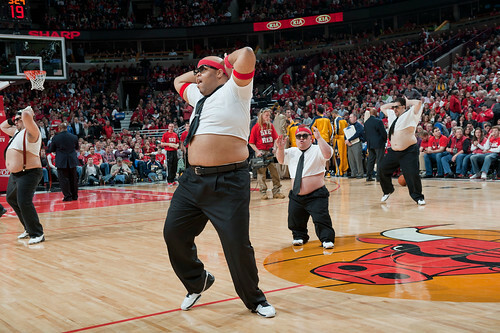 I got a lot of emails last week about whom the Bulls will play in the Finals. I’m not getting quite as many anymore. Thibodeau went with Boozer unusually long, just over 42 minutes. He only played more than that in three games this season, and although no one acknowledged it, it seemed Thibodeau was trying desperately to find that reliable second scoring option. 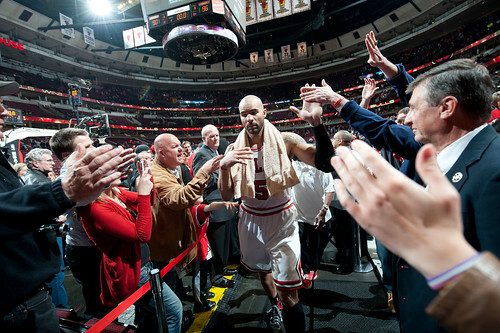 Boozer was more alert to open the game with nine first quarter points, including missing four free throws. But the Pacers’ 18-17 first quarter lead was a concern. There’s long been talk this season of the starters not being able to come out quickly. Which is basically because there aren’t regular scorers other than Rose. 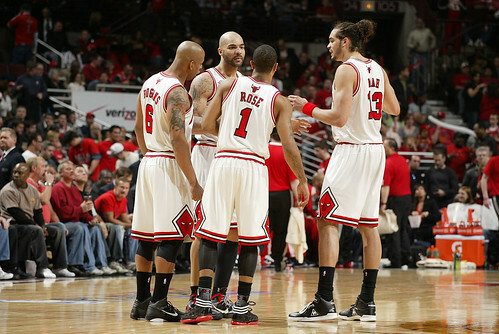 The Bulls have gotten a boost often this season from the second unit. But with Ronnie Brewer seemingly hesitant to shoot with his bad left thumb—he passed up a few shots—and Thibodeau limiting Taj Gibson’s minutes, Monday to just over 12, the bench isn’t having the same impact. 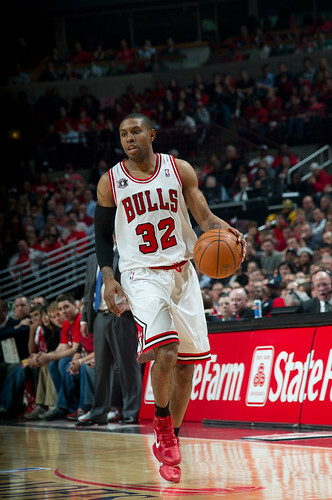 The Bulls seemed to lack a bit of the energy that Gibson has been providing. Korver has been sharp down the stretch, but isn’t getting many opportunities once again, just four shots in 22 minutes Monday. You could see the Bulls trying to get an interior game going to start with Boozer doing a good job sealing Hansbrough and getting inside position, though he and Noah committed early turnovers trying to get an inside passing game going. Likewise, Deng could not get going, and with the ball not skipping around quite as much (just 15 assists), Deng wasn’t able to get those slashing scores. The Bulls also got a break with Roy Hibbert getting into early foul trouble, though the Pacers didn’t utilize him in the post early, where he gave the Bulls some trouble in Game 1. 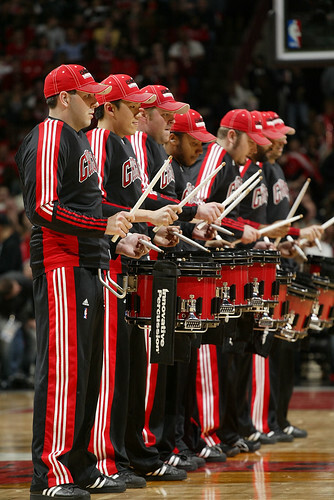 As a result, the Bulls were able to dominate on the boards. They did make multiple efforts, but were unable to finish and with 19 second chance opportunities had just five scores, suggesting they were missing a lot of follows with tips and soft put backs. Keith Bogans missed one wide open when he didn’t dunk it and same for Boozer a few times as well as Noah. Though Noah has played more energetically the two playoff games, you still wonder about his thumb as he doesn’t always seem to be able to grasp the ball. Collison was beginning to get penetration, which was rare for the Pacers, until he had to leave with his ankle sprain late in the second quarter with the Pacers leading 45-38. It wasn’t supposed to be going this way. 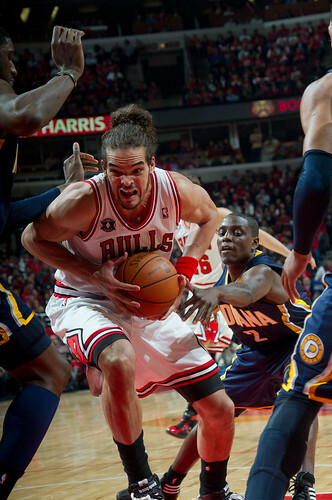 The Pacers led 47-44 at halftime despite 13 each from Boozer and Rose and no Pacer in double figures. The Bulls looked like they’d take control with more ambitious defense to open the second half, which was common in the regular season. And they did with an 11-3 run as Rose hit a three after going zero for nine in Game 1 (he was two of five) and the Bulls scored consecutively off second chances. The Pacers got Granger more space to work against Deng by opening the floor on the left side and Granger had nine points in the third as the Bulls help was too far to come. Indiana closed the third strong with a Granger jumper and forced Rose into a pair of turnovers as they began to show a bit of the pressure they’d spring on the Bulls to open the fourth quarter. The Bulls should expect to see more of that and perhaps some zone, which the Pacers haven’t used yet, as the aggressive trap was effective early in the fourth. On the road, it’s generally tougher for visitors to shoot, especially the secondary shooters, and it appeared the Pacers were worried about letting Deng get going at home and dropped off the aggressive trap when Deng set the screen. I wonder if they’ll do that again. The Bulls did up their defensive pressure again down the stretch, and the Pacers faded again, though not until late as Price and Mike Dunleavy made threes to answer a Rose three and one of those blow by drives when Rose got an isolation with Granger. Again, Rose was brilliant going to the basket and now it seems routine for him to get double figure free throws. Will it continue on the road? Though the Bulls may be in for some more hard times if it has to. Though it would not seem like it should always have to be the plan. When Rose came to talk to reporters after the game, he was wearing a heavy, winter coat. Sure, we all know mid-April in Chicago means winter. But this isn’t the NBA winter anymore. This is the NBA spring, when teams take away some of your best options and put more pressure on you. Rose has had to average 37.5 points, seven rebounds and six assists for the Bulls to narrowly win two games against the only playoff team with a losing record. Better button up. There seems to be a chill wind blowing and it may be coming the way of the Bulls.